The Rebel Sweetheart. : Spotlight | The Face Shop White Ginseng Collagen Pearl Capsule Cream. 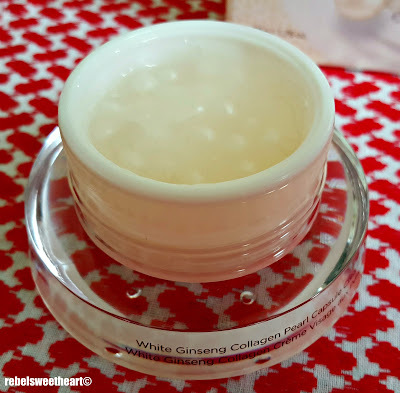 Spotlight | The Face Shop White Ginseng Collagen Pearl Capsule Cream. A few months back, I joined the Seoul Summer Sale contest hosted by Visit Seoul, with hopes of winning either the Super Junior autographed CD or the Shinsegae Duty Free gift card worth 100000 won (around $85 or Php 4000). I did win the contest, but my prize was neither the CD nor the gift card. My prize from the Visit Seoul Summer Sale contest! 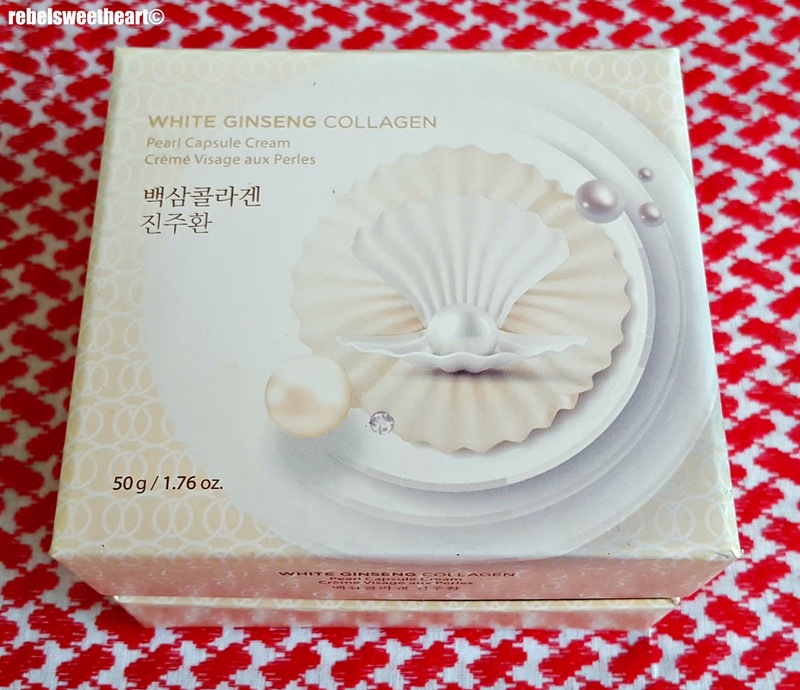 Instead, I received the White Ginseng Collagen Pearl Capsule Cream from The Face Shop. Not bad, I told myself, considering how much I love Korean cosmetics, and that I get to try a new product without having to spend anything. 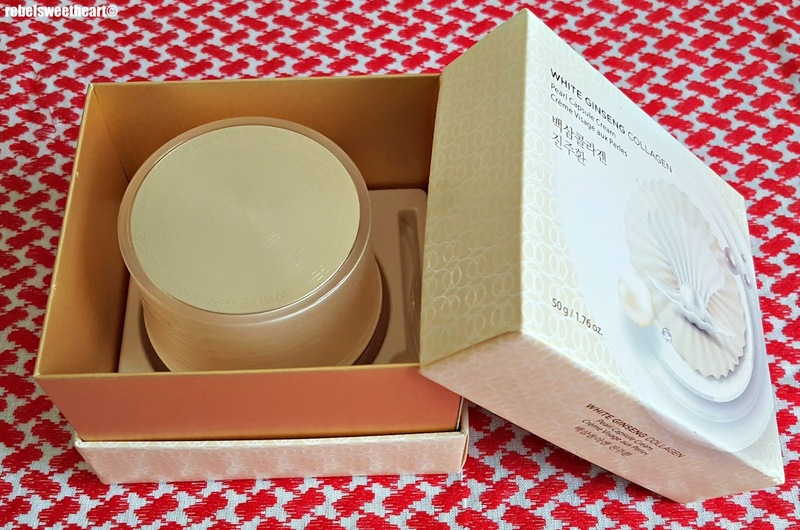 Plus this prize is valued at 52000 won (around Php 2200 or $45) upon checking it at Emart. 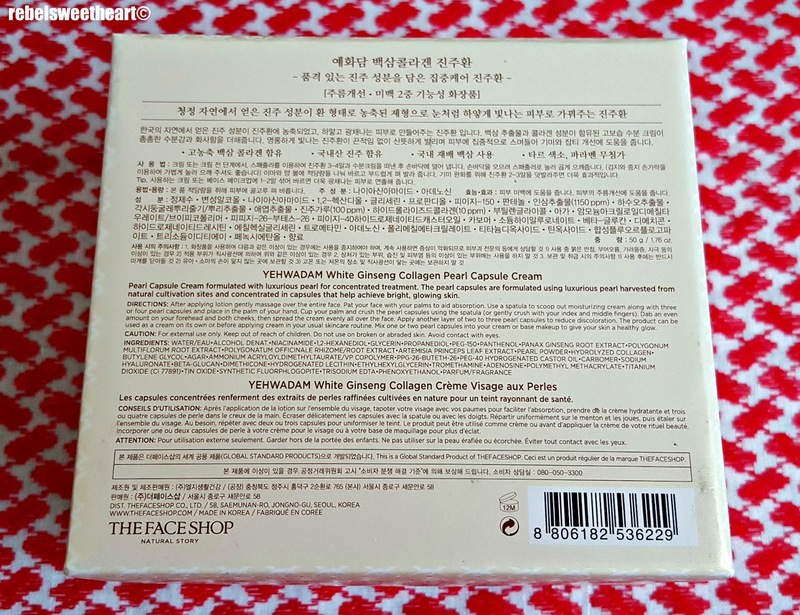 Product description and list of ingredients at the back of the box. The White Ginseng Collagen Pearl Capsule Cream is a hydrating cream made with natural pearl extracts, ginseng root extract, and hydrolyzed collagen. Together these three ingredients create a healthy, radiant complexion and help achieve glowing, younger-looking skin. 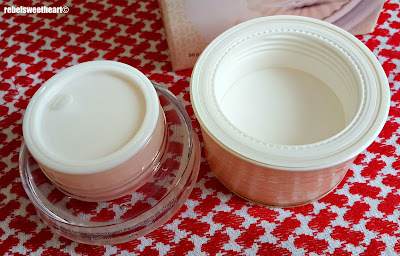 The cream comes in a simple yet elegant-looking (albeit bulky) glass jar. It's housed in a gold paper box with a plastic tray inside to keep the jar in place. 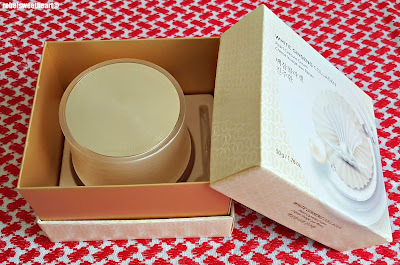 The packaging alone is very luxurious, which makes the product look a lot more expensive than it really is. The cap and the bottle itself have the same size, lol. Comes with a plastic seal. As for the product itself, it has a gel-cream texture that's light as air and sink immediately into the skin. 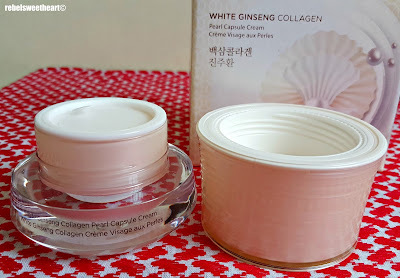 The cream is very hydrating - perfect for this time of year when the cold winds and the sudden change in temperature can make the skin extremely dry and flaky. This product can be used in two ways - as a regular moisturizer, or as a booster to your makeup ritual. 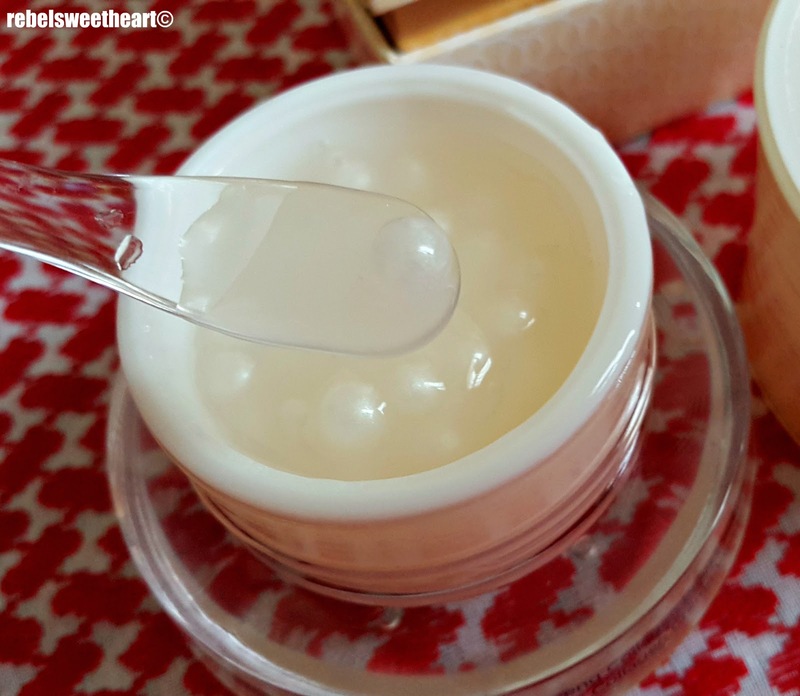 To use as a regular moisturizer, simply scoop out the cream with the spatula provided, along with 3 or 4 pearl capsules. Place the cream and the capsules on your palm, cup your palm, then crush the capsules with the spatula or with your clean fingers. Dab an even amount on your forehead and your cheeks, then spread the product evenly on your face. The product can be used as a cream on its own, or you can mix it with any moisturizer or cream that you're currently using. Scoop them with the spatula provided. 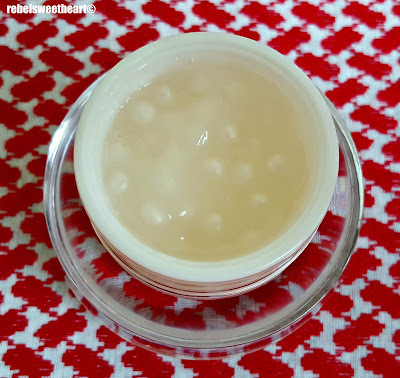 To use as a booster to your makeup ritual, you can mix in 1-2 pearls with your foundation to achieve dewy, glowing skin. The pearls are quite shimmery when crushed, and glisten like silver dust when used on its own. The pearl capsules up close. 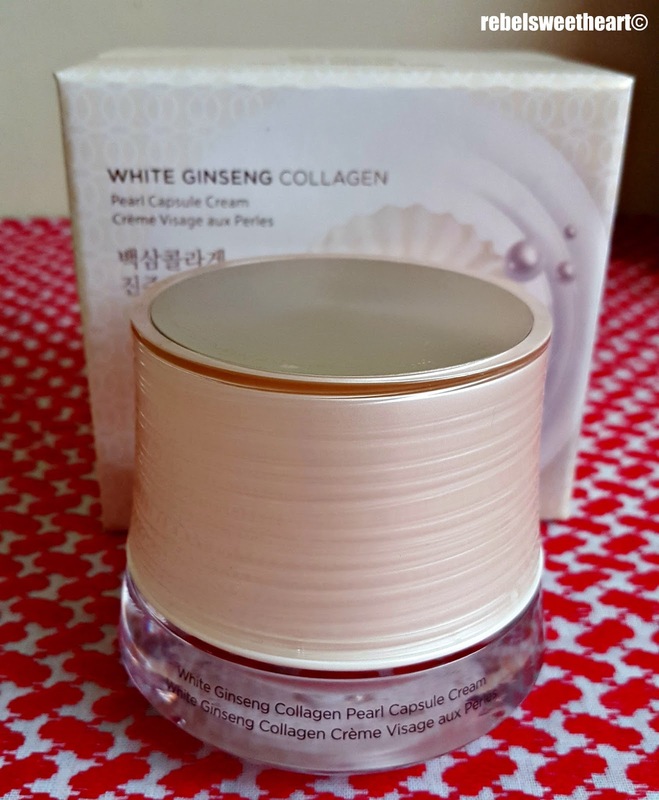 Hence, I prefer using this layered on top of my Moistfull Collagen Emulsion during the day, and mixed with my Moistfull Collagen Cream at night. I've been using this product for more than two weeks now and the experience has been great so far. I usually tweak my skincare routine during the colder months (like, now), and I love the extra hydration that this product provides. 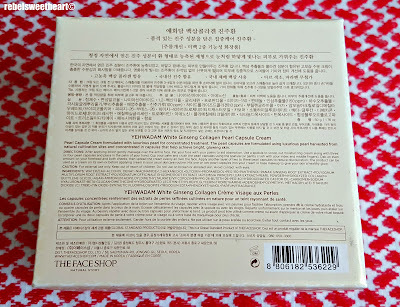 The uneven patches on my skin have also become less noticeable, which I attribute to this cream's niacinamide content. A few seconds after applying the cream. Niacinamide, a non-toxic, non-carcinogenic and relatively safe skin ingredient, helps to lighten areas of pigmentation and age spots. It also reduces blotchiness and evens out skin tone while improving skin texture. After two weeks of use. It looks like a different way to boost your hydration. I like it. It does make your skin glow. Wow! I've never heard this product before but it looks perfect for me. I have a lot of skin problems and mostly it' combination problem. I love the packaging and it looks like it is amazing! I will have to look into this! I have been awe with Korean cosmetics and their packages looks absolutely cute that you can't resist trying it. 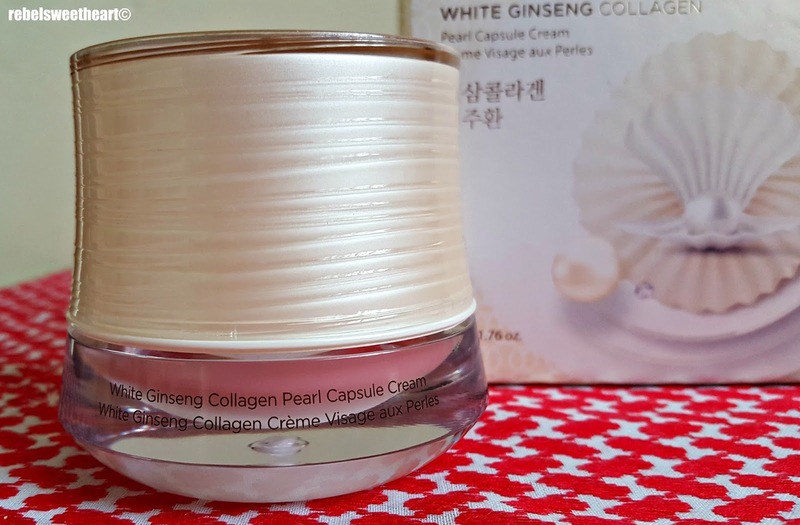 The White Ginseng Collagen Pearl Capsule Cream sounds amazing and you look great with the results. That's interesting. I've never seen a moisturizer like that before. I'm glad it works well. This looks like a great product to use! I am going to definitely check this out and maybe give it a try! Looks like an awesome moisturizer! I really like the packaging, it's so unique and lovely! 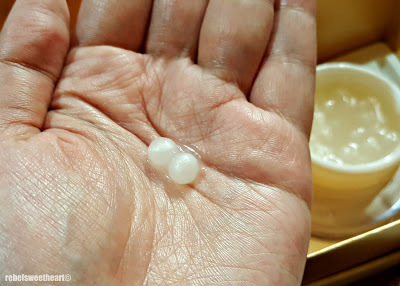 wow real pearls in a skin care product? I love it and your skin looks glowing with it. Wish this collagen were in Europe too! Looks like an amazing skin product. Your skin looks glowing with it!